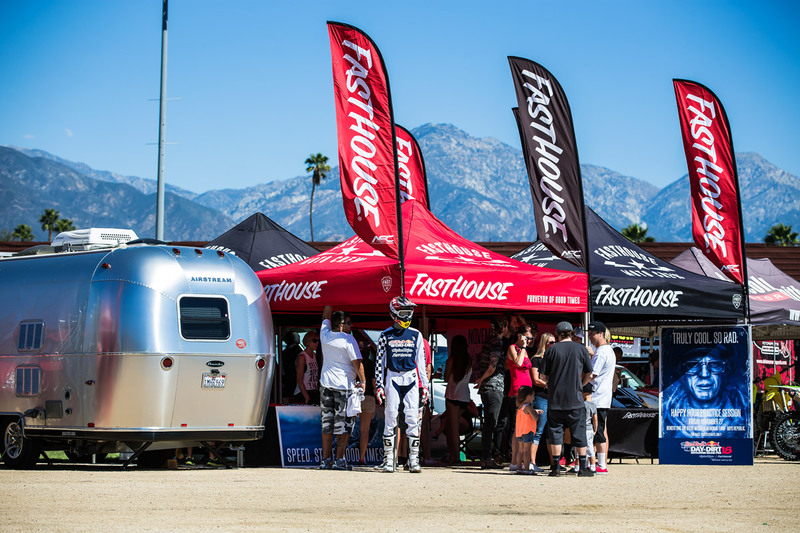 This past weekend marked the second annual Red Bull Straight Rhythm in Pomona, California. 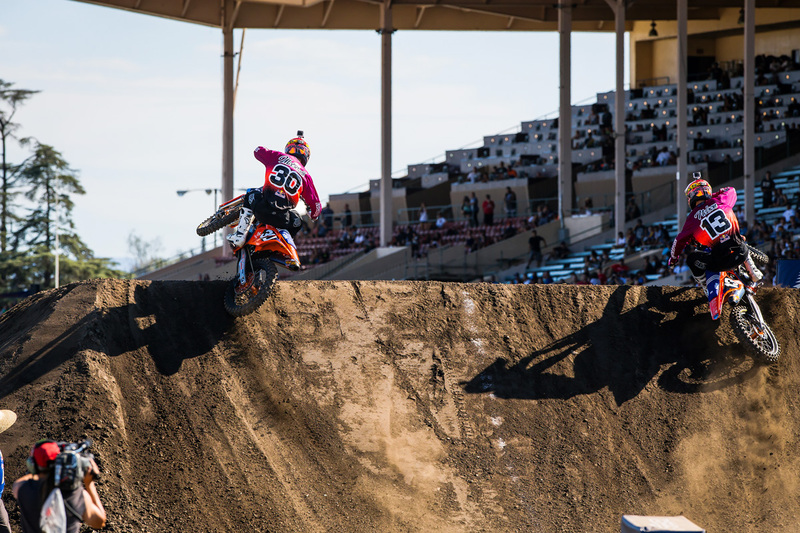 The event was dreamed up by the creative minds at Red Bull roughly three years ago, and in its second running, Straight Rhythm produced some of the closest and best racing we've seen in a long time. 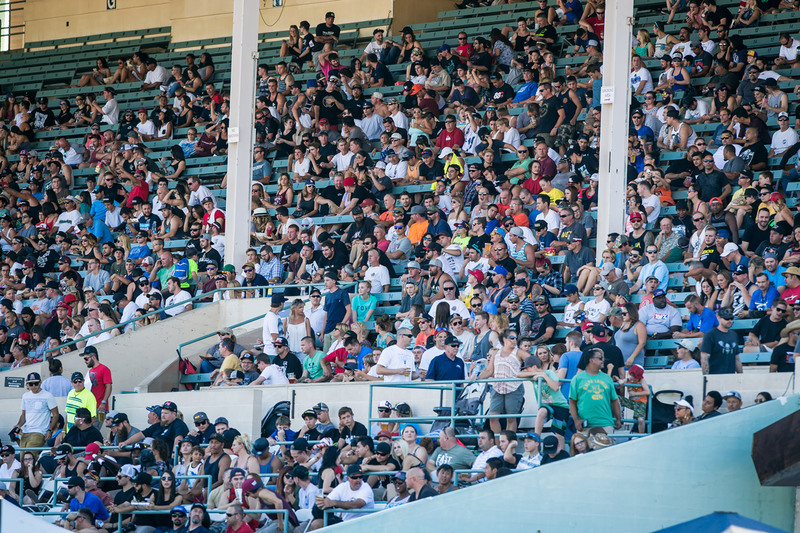 The two classes—250 and 450—were broken into bracket racing between two riders with the best of three runs determining who moves on to the next round. 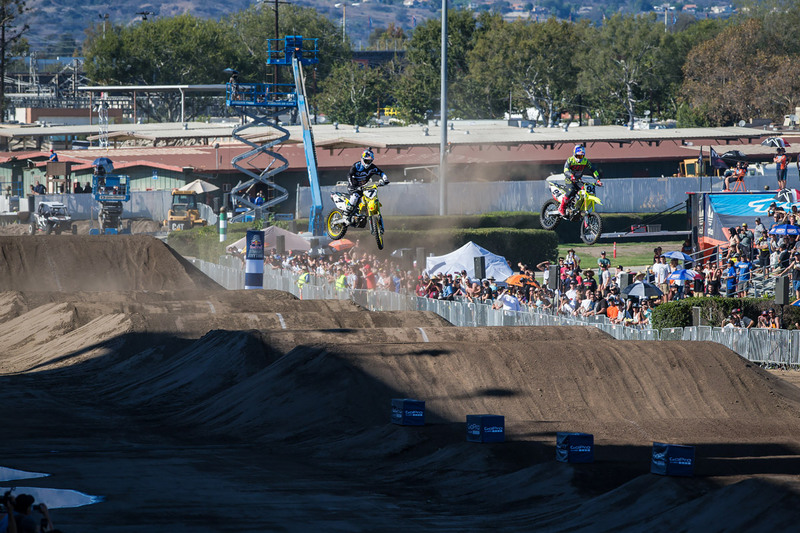 The best race of the day, though, came in the semi final between James Stewart and Ryan Dungey. 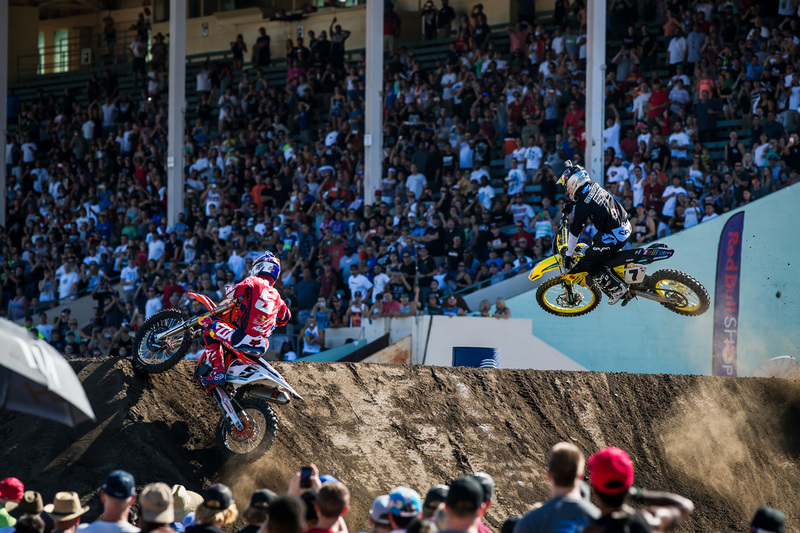 The two riders duked it out for all three runs with Stewart ultimately taking the win to move onto the final with Ken Roczen. 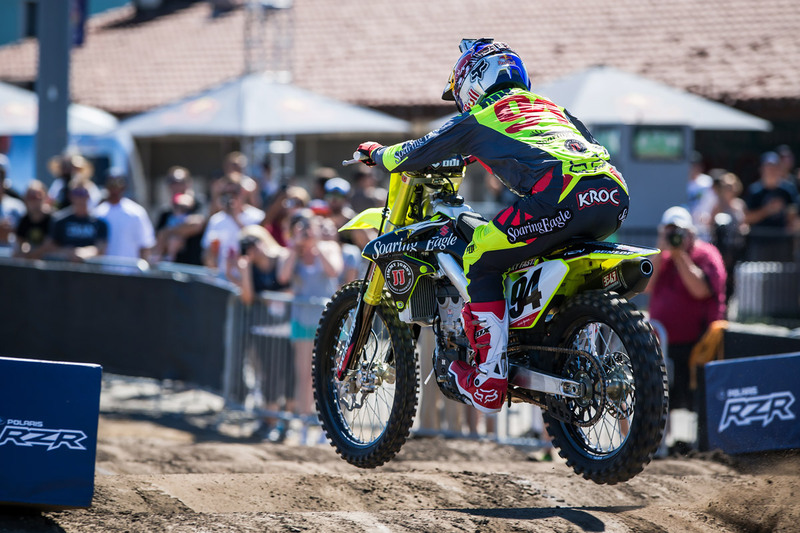 Ultimately, Stewart took the win in the final round after a major mistake by Roczen caused him to lose his momentum early in the second run. 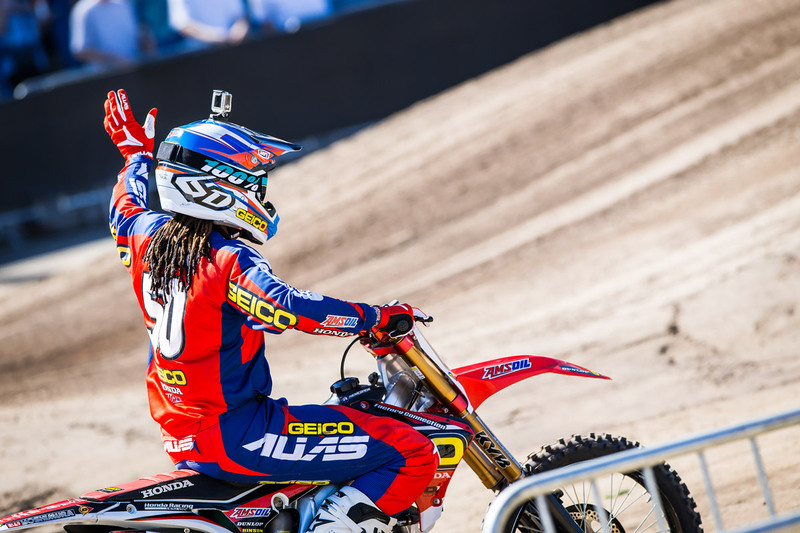 In the 250 Class, James' younger brother GEICO Honda's Malcolm Stewart took home a dominating win ahead of Troy Lee Designs/Lucas Oil/Red Bull/KTM's Shane McElrath, making for an historic Stewart family day. 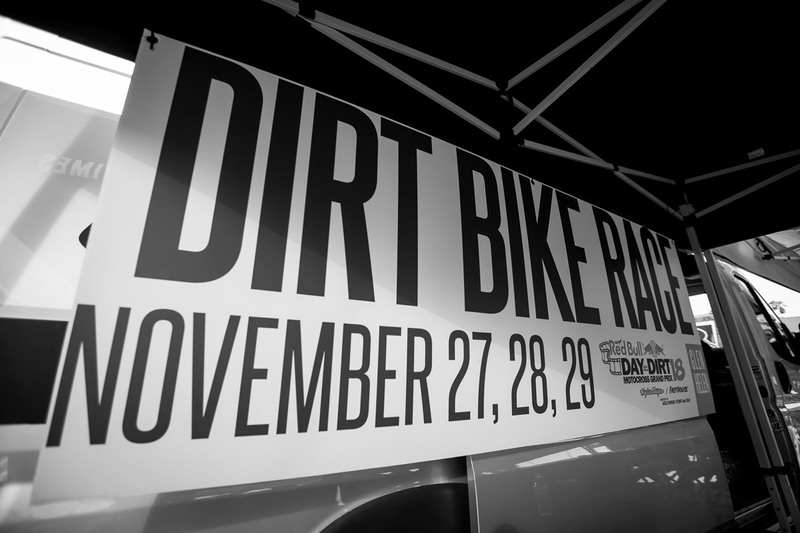 We were on hand the entire weekend, prominetly displaying some new Red Bull Day In The Dirt gear and having a good time with friends. Nelson styling off the finish line jump. 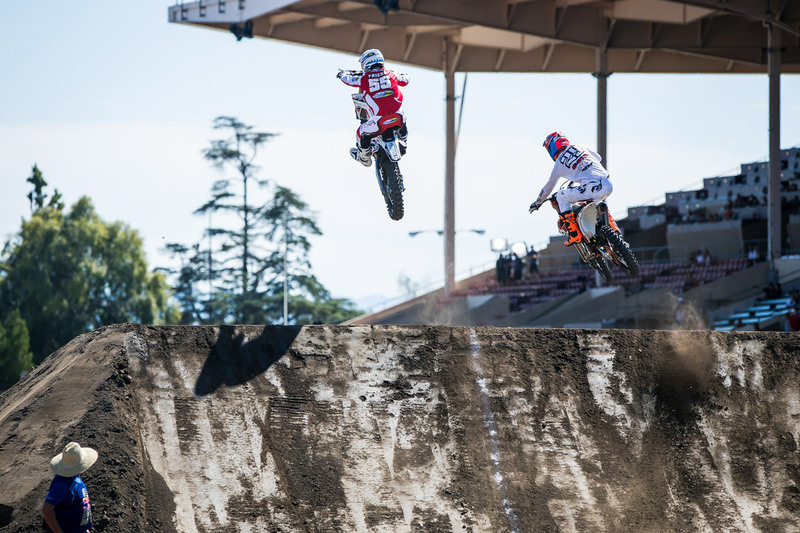 Teammates Shane McElrath and Jessy Nelson duke it out. 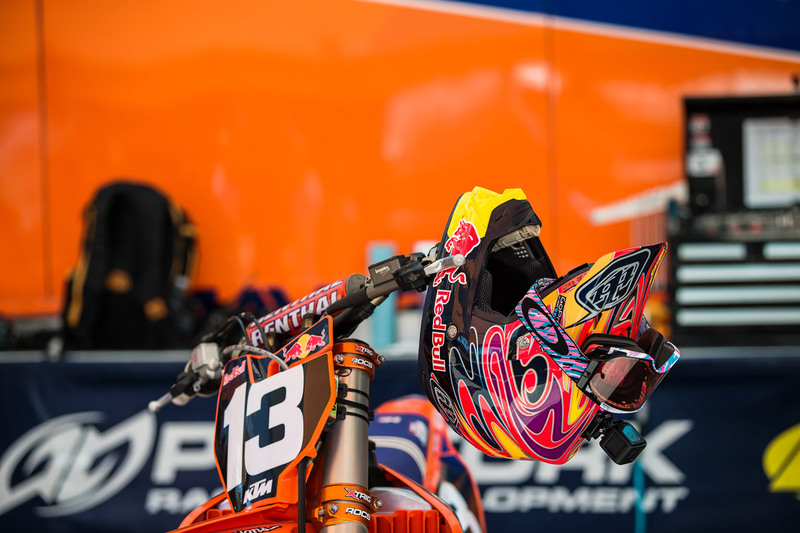 McElrath won to move to the final round. 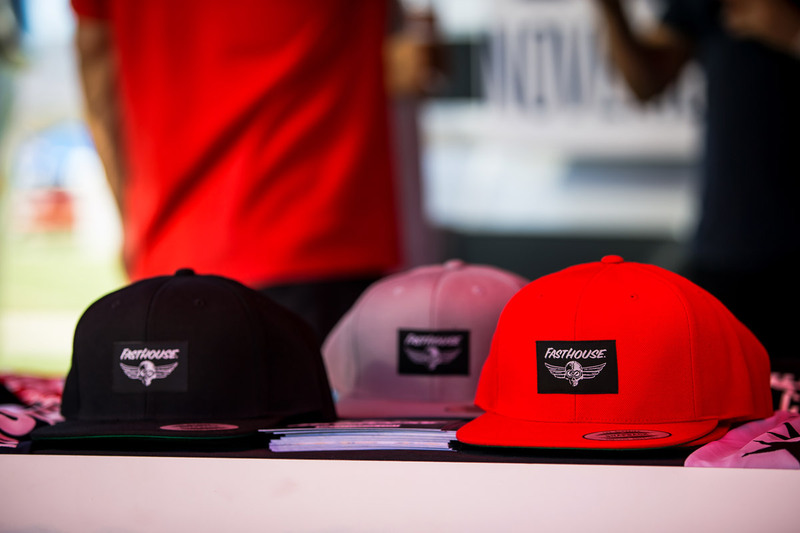 Good times in the Fasthouse booth. 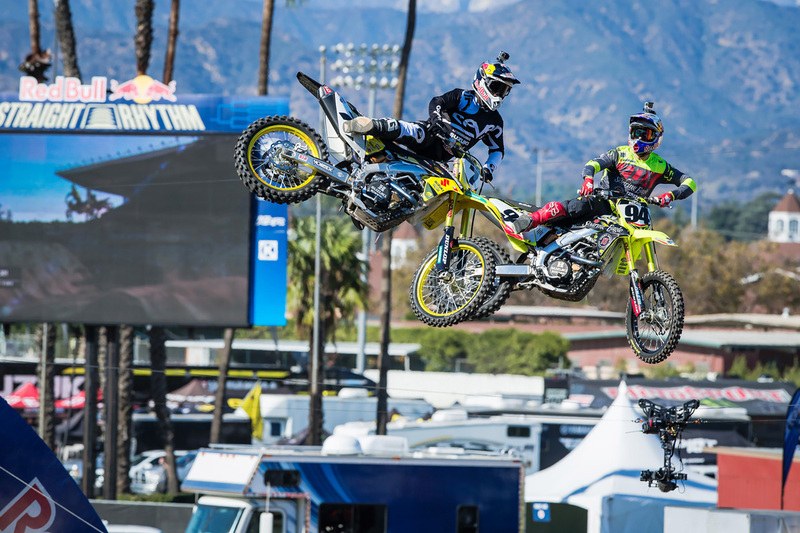 The best racing of the day was between Ryan Dungey and James Stewart during the semi-finals. Stewart ultimately won to move on to the final. 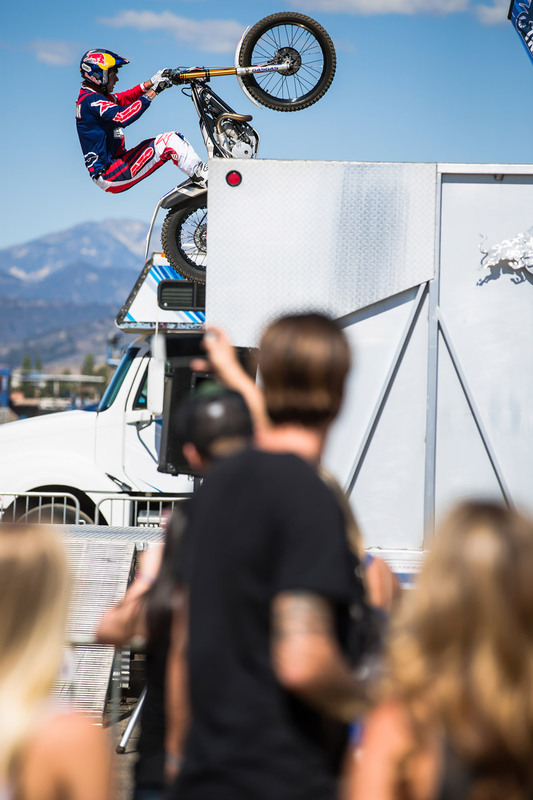 National Trials Champion Geoff Aaron put on some impressive shows prior to the racing. 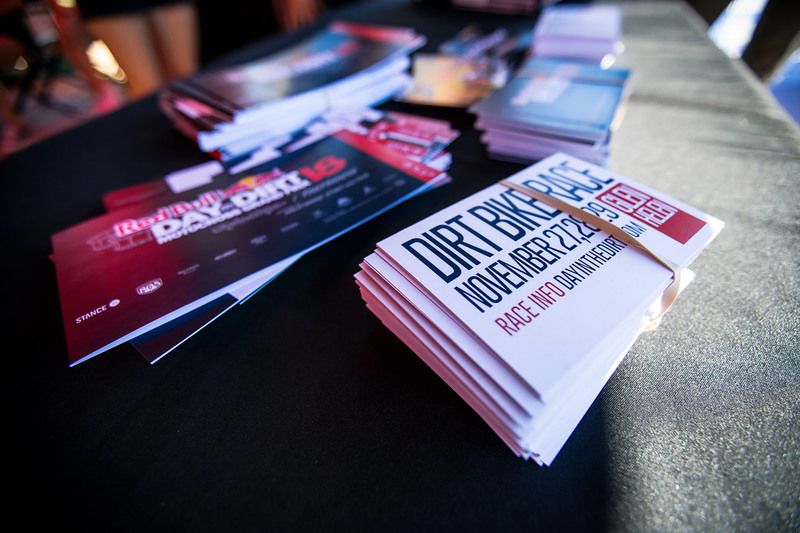 Have you sent in your entry for the 2015 Red Bull Day In The Dirt? 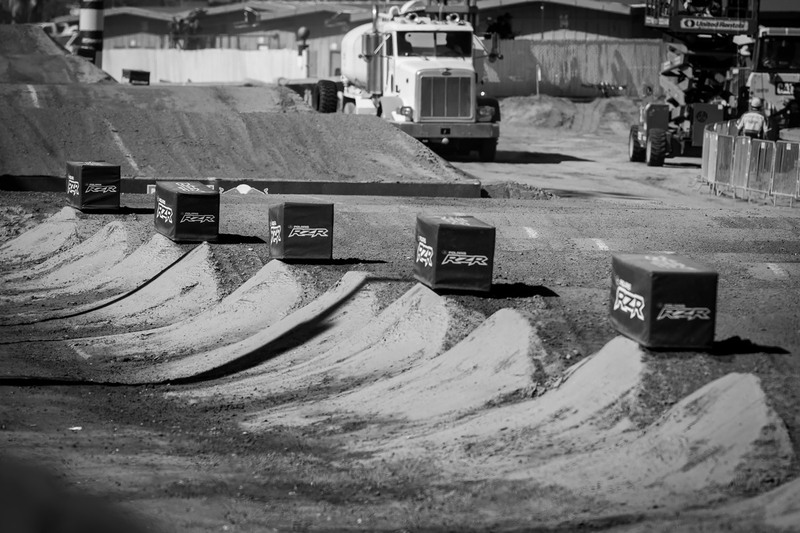 One of the scarier moments happened when MCR's Vince Friese got a case of whiskey throttle off this scrub jump. He survived. 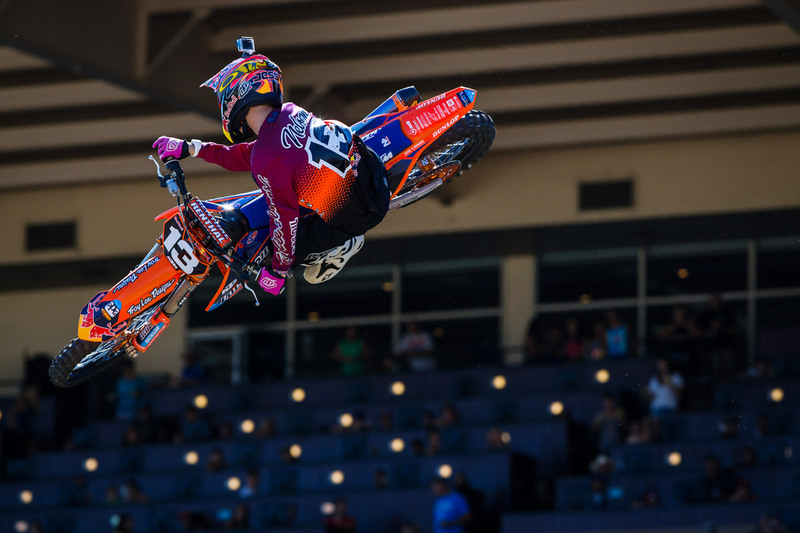 Jessy Nelson having some fun on his way back to the start gate. 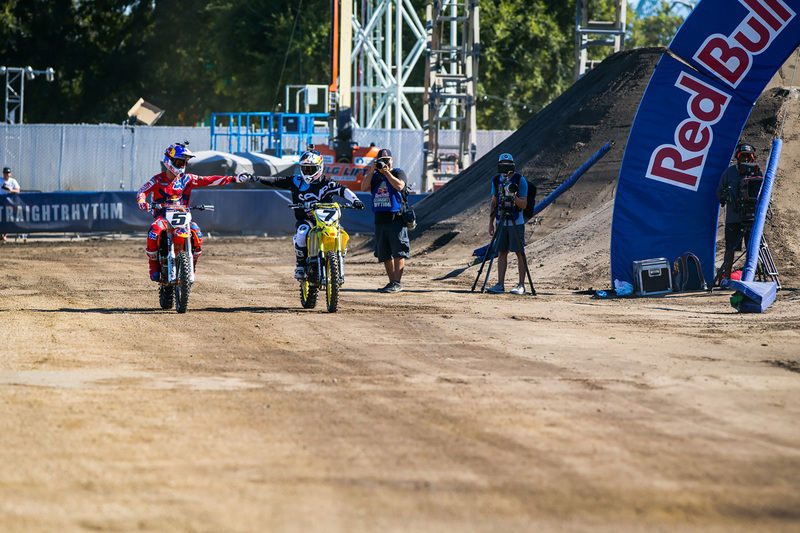 Stewart and Roczen had a good battle in the first run of the finals. 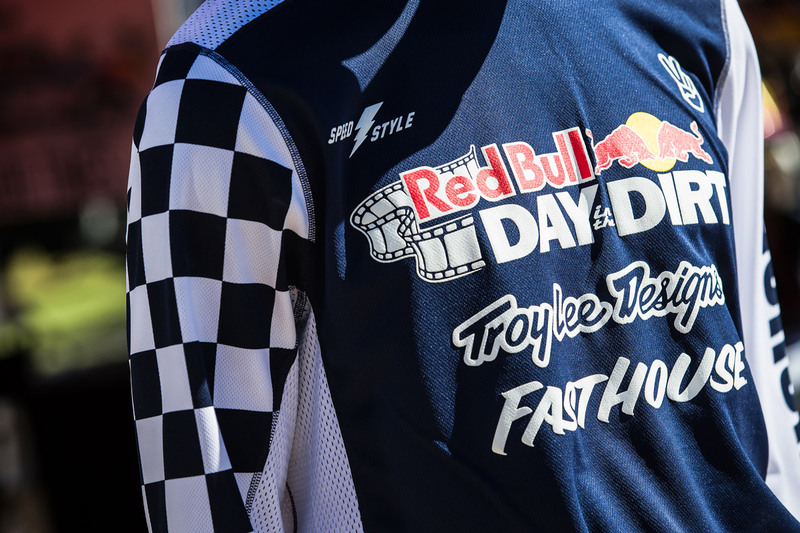 The new Red Bull Day In The Dirt jersey. 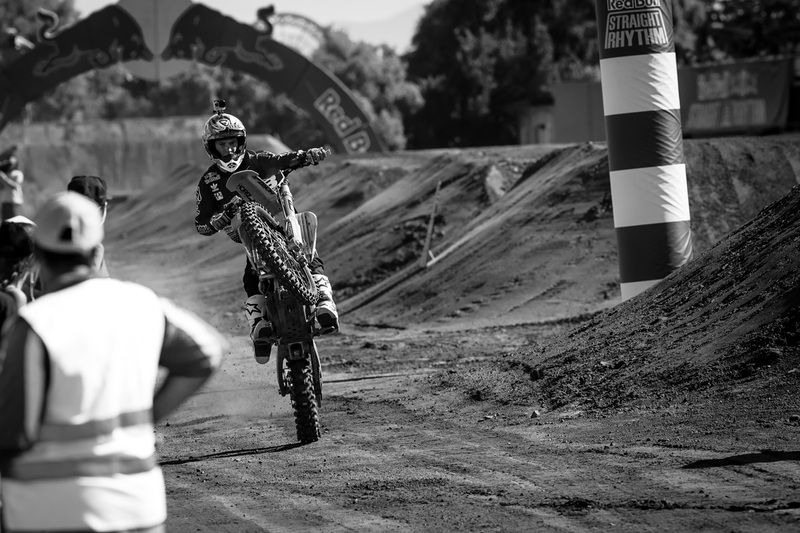 No one ever accused Roczen of not being able to whip. 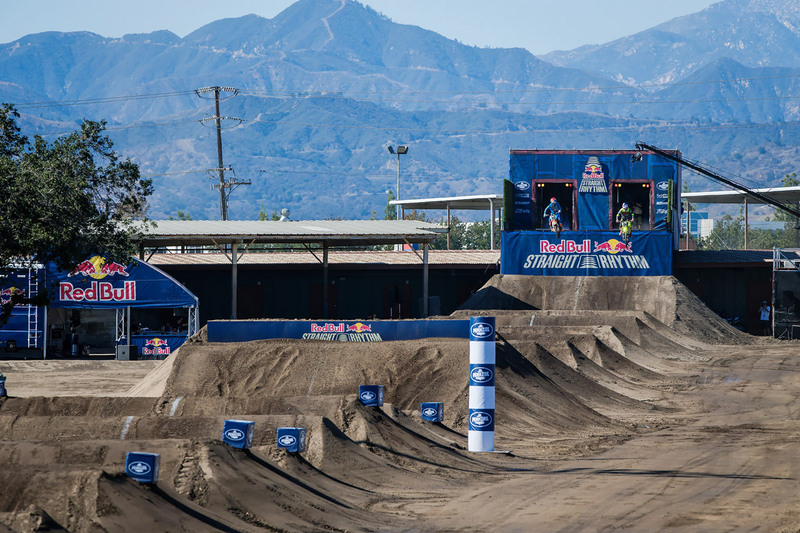 The start gate was unique, as riders dropped down 15 feet onto the Straight Rhythm course. 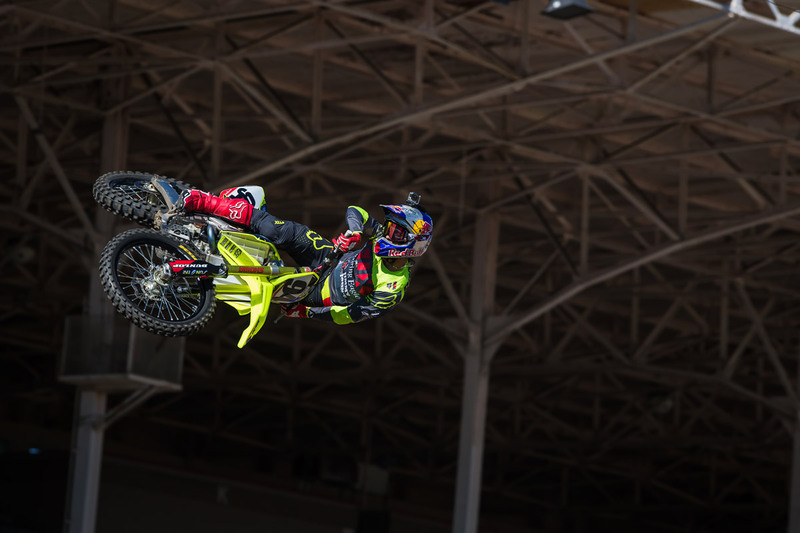 Roczen made the huge whoops look easy. 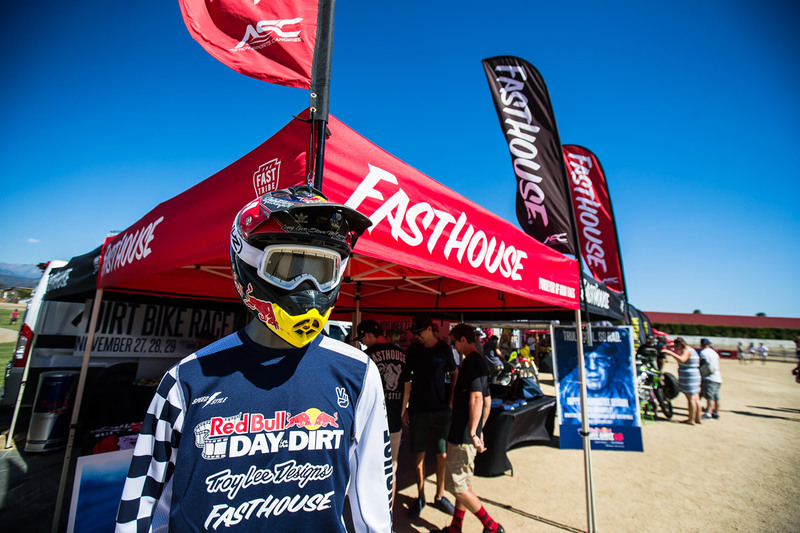 Malcolm Stewart dominated the 250 Class.